The Master Your Money Super Bundle is Live! Master Your Money Super Bundle is Live! It's time for the Master Your Money Super Bundle from Ultimate Bundles! By now you know that I am a huge fan of Ultimate Bundles and their newest bundle does not disappoint. If you are short on time – simply click here to go straight to the sales page and grab your copy. The Master Your Money Super Bundle is available from now through midnight on Monday April 1, 2019. It is over a $1300 value including bonuses but is yours for only $37 during the sale. This bundle is a good one! Dare I say that this bundle is for everyone – or at least anyone who thinks that could be doing a little better with their finances? No matter where you are in life – I find that it is always helpful to hear new ideas for managing money. When I listen to other people I always find ways to stretch my dollars a little farther. Personally, I like the idea of a money mindset and a generosity of spirit but that doesn't mean that you should pay for things you don't need or pay more for products and services that would cost you less if you shopped elsewhere. 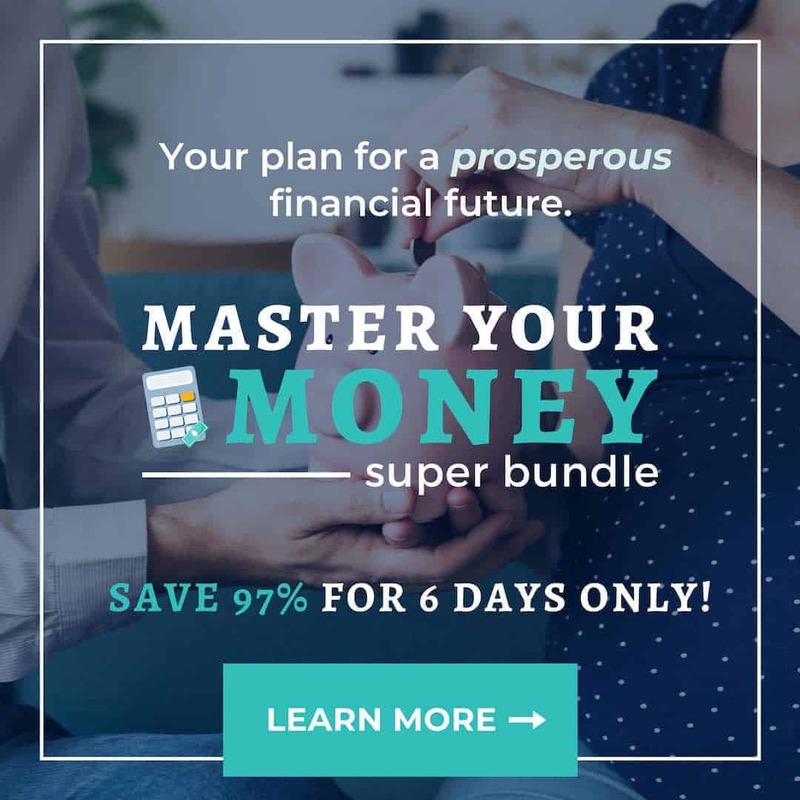 While many of the resources in the Master Your Money Super Bundle are geared towards growing families with young children, there are products that apply to just about everyone. For example, people spend a lot of money on groceries, so it's not surprising that grocery shopping is one of the biggest money leaks. The Master Your Money Super Bundle includes the How to Eat Healthy Whole Foods without Spending Your Whole Paycheck video presentation by Ginger Hudock, a $19 value. It also includes Debt Free in 18 Months, an eCourse by Deacon Hayes which is a $67 value that covers a strategy for eliminating $52,000 in debt in 18 months. If you are needing to improve your financial situation, I suggest you head over to Ultimate Bundles where you can see all of the products that are included. Remember that the bundle is only available at this price for a limited time so be sure to act fast. Ultimate Bundles does offer an excellent happy-ness guarantee, as well. If you are not familiar with Ultimate Bundles then you are in for a treat. Their company scours the internet for some of the best courses and digital products revolving around a variety of different topics. You can read more about them and see some of their past bundles in this article. And if you are a blogger or influencer and would like to introduce Ultimate Bundles to your own audience, you can apply to become an Ultimate Bundles affiliate here or read more about that here.